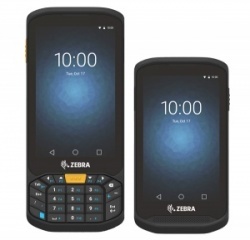 Zebra mobile computers and rugged smartphones | Smart Print and Labelling..
Zebra's range of mobile computers and rugged smartphones are designed for working conditions in order to increase productivity within your business. 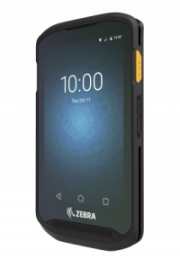 Zebra's TC20 mobile computer range and TC25 rugged smartphone range have been created for small businesses to give big performances. Besides one functioning as a computer and one functioning as a phone - the key difference between the two is that the TC20 is designed for indoor use within sectors such as retail and hospitality whereas the TC25 is designed for on-the-road use. Best for: on-the-road use e.g. delivery drivers. The design means that the TC25 has protective features, guarding the technology against outdoor elements. Best for: indoor uses such as retail and hospitality. The rugged features enable the device to withstand extreme climatic conditions such as heat, cold, water and dust. This makes the device suitable for virtually all industries. Features designed for the workplace environment help to save time and money in order to increase sales and boost profitability in your shop or establishment, right in the palm of your hand.